It's really hot inside Jupiter! No one knows exactly how hot, but scientists think it could be about 43,000°F (24,000°C) near Jupiter's center, or core. 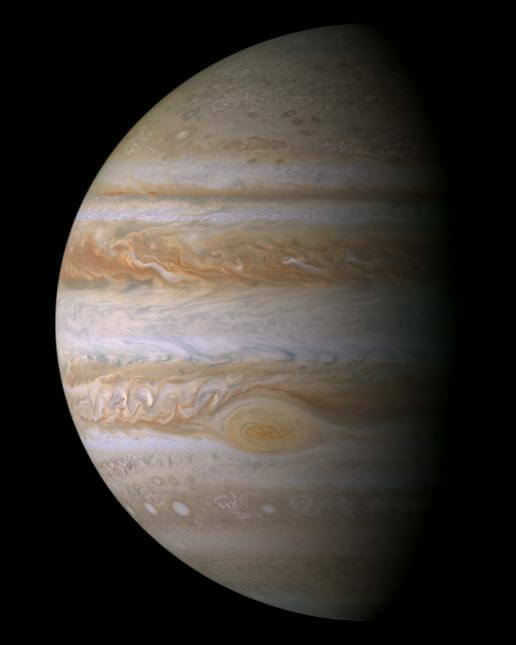 Jupiter is made up almost entirely of hydrogen and helium. 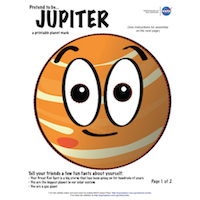 On the surface of Jupiter–and on Earth–those elements are gases. 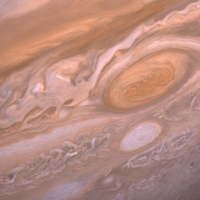 However inside Jupiter, hydrogen can be a liquid, or even a kind of metal. These changes happen because of the tremendous temperatures and pressures found at the core. Have you ever gone swimming at the deep end of a pool? Did you notice that your ears started to hurt a little bit when you were under water? The deeper you dive, the more water there is on top of you. All of that water presses on your body–and that's pressure. The same type of pressure happens in Jupiter's core. Under low pressure, particles of hydrogen and helium, called molecules, have lots of room to bounce around. This is when hydrogen and helium are gases. However, the weight of all this hydrogen and helium is really heavy. This weight presses down toward the planet's core, creating high pressure. The molecules run out of room to bounce around, so instead, they slow down and crowd together. This creates a liquid. How much pressure would you find at the center of Jupiter? Imagine if you swam to the bottom of the Pacific Ocean. You would feel more than 16,000 pounds of force pressing down on every square inch of your body. That is approximately the weight of four cars! The pressure at the center of Jupiter is much higher. At Jupiter's core, you would feel as much as 650 million pounds of pressure pressing down on every square inch of your body. That would be like having approximately 160,000 cars stacked up in every direction all over your body! 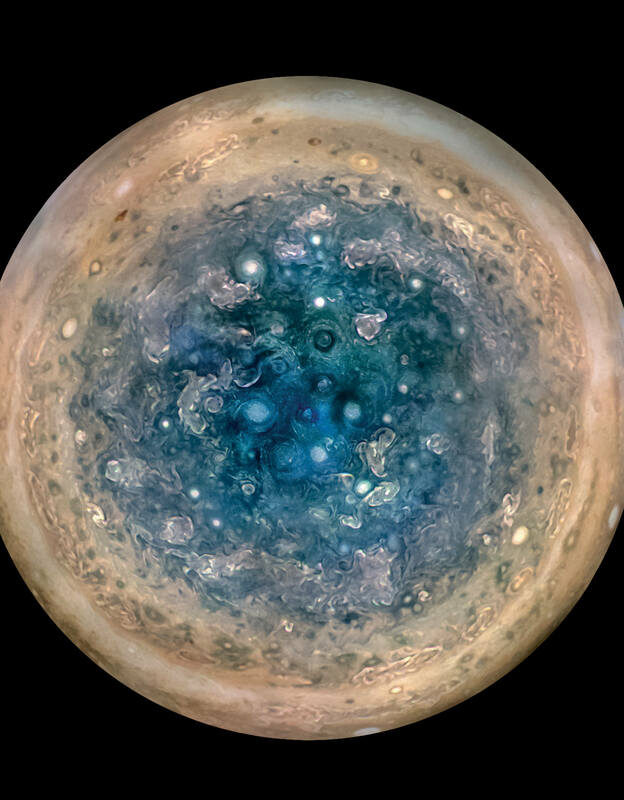 What lies at the very center of Jupiter? At the moment, scientists aren't 100% sure. It may be that the planet has a solid core that is bigger than Earth. But some scientists think it could be more like a thick, boiling-hot soup. 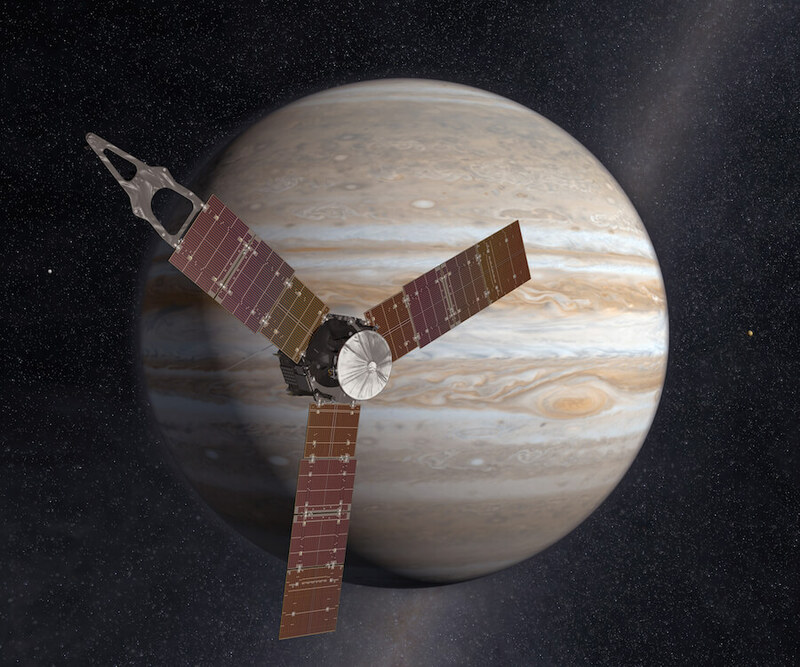 NASA's Juno mission is designed to find answers to such remaining questions about Jupiter. The spacecraft is orbiting the giant planet, swooping in for close-up looks to get more detailed information. 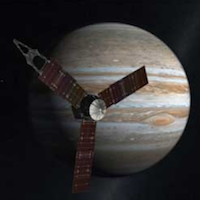 Juno has already made many new discoveries about Jupiter. Scientists hope that information from Juno will help us measure Jupiter's mass and figure out whether or not the giant planet's core is solid.